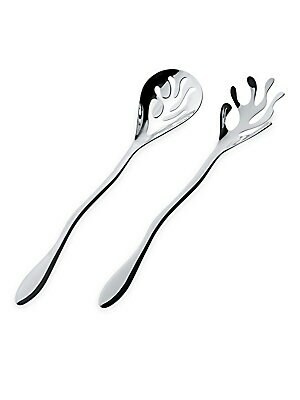 A breakthrough design that redefines the contemporary cutlery genre- this spoon and fork set is an example of fine art meeting everyday utility. Length, 11" Stainless steel Made in Italy. Gifts - Kitchen. Alessi. Color: Silver. 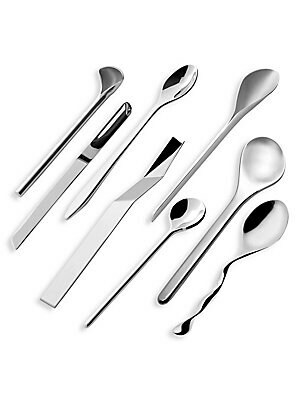 A great opportunity to adorn your tabletop with contemporary architecture-inspired cutlery Mirror polished stainless steel Imported. Gifts - Kitchen. Alessi. 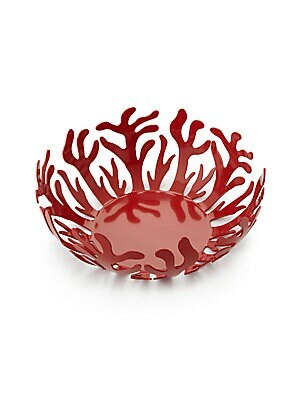 An artfully-crafted fruit bowl in a delightful hue Resin/steel Diameter, 11.5" Height, 4" Imported. Gifts - Kitchen. Alessi. Color: Red. A new version of a tabletop classic, this extensible trivet exudes the elements of pop, humor and smart design. 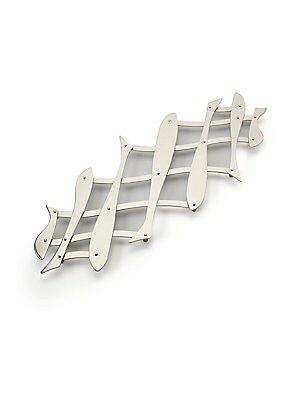 Mirror-polished stainless steel 20"W X 7.5"H X 5"D Imported. Gifts - Kitchen. Alessi. A revolutionary coffee maker designed with technology to ensure the perfect cup. 4"W x 8"H Aluminum casting Made in Italy. Gifts - Kitchen. 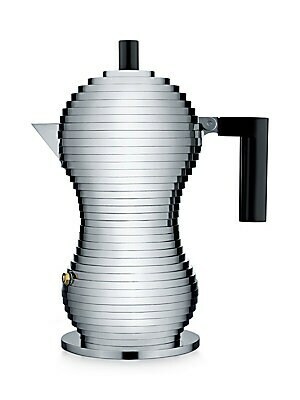 Alessi. Color: Black. 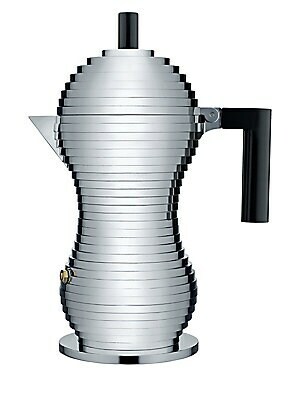 A revolutionary coffee maker designed with technology to ensure the perfect cup 8"W x 10"H Aluminum casting Made in Italy. Gifts - Kitchen. Alessi. 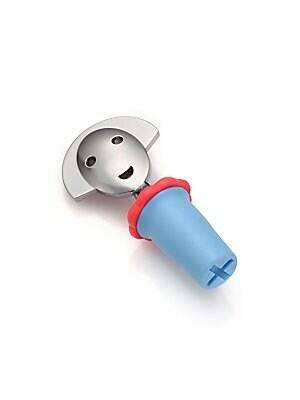 A whimsical, yet practical bottle stopper to preserve the half-full bottle for later use. Length, 3.5" Zamak/thermoplastic resin Made in Italy. Gifts - Kitchen. Alessi. Color: Violet. 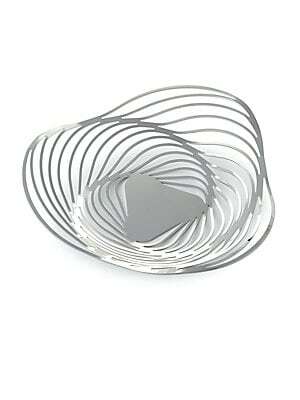 Basket inspired by the shell of Nautilus mollusk. 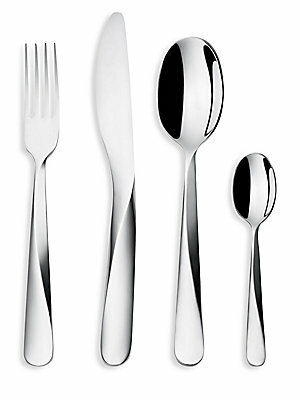 2.75"H x 10.25"D 18/10 stainless steel Made in Italy. Gifts - Kitchen. Alessi. 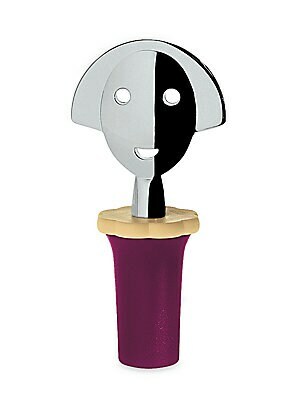 Chrome-plated wine stopper with smiling girl motif. 4"H x 1.5"D Thermoplastic resin/chrome-plated zamak Made in Italy. Gifts - Kitchen. Alessi.